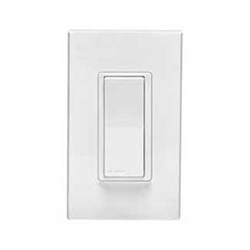 The Leviton Decora Smart WiFi in wall switch lets you automate, control and schedule lights, small fans and motors with no automation hub required. Set-up is simple, wire it in and enroll the device in the free iOs or Android app. No Automation Hub required! This device can be installed in new and retrofit applications and features true rocker action - tap the top for on, tap the bottom for off. 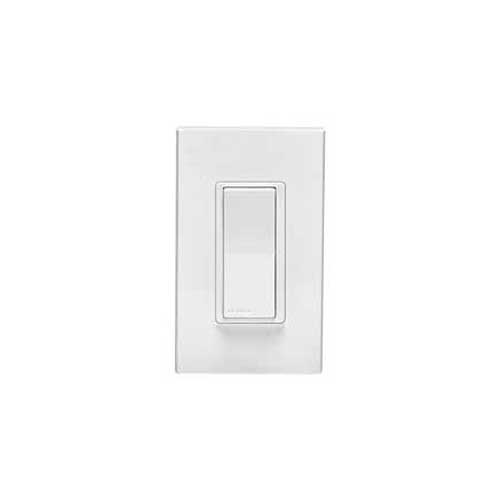 This wall switch supports incandescent, LED, CFL lights as well as flourescent, resisitive, fan and small motor loads. It's designed to support even very small sensitive loads like a single LED bulb, so bulbs will not glow when turned off. Once enrolled you can use your smart phone to check status, turn lights on and off from anywhere in the home or around the world! Use the app to set up schedules to turn lights and devices on or off on a schedule based on time of day, day of the week, and sunrise/sunset. Schedules are saved right in the Decora Smart WiFi device and once they're programmed they will work even if the Internet connection fails. Use the app to set up lighting scenes to activate multiple devices as once, and set up devices in rooms to find them quickly in the my Leviton app. For 3 way (2 switches) or multi-way appllications, add a DD0SR-DLZ remote switch(es).